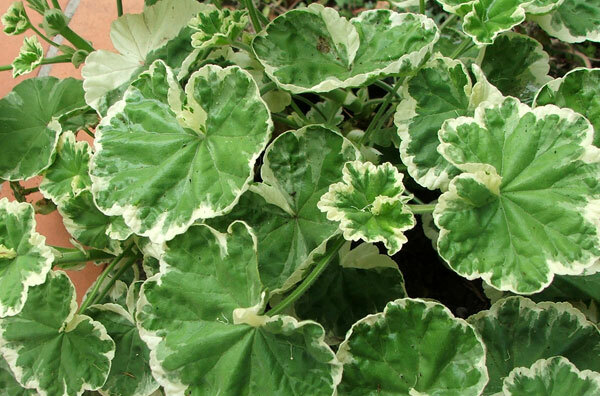 I grow a cream and green variegated pelargonium which has bright cherry red flowers. It's great in pots and planter boxes, or in borders to lighten up and contrast with the darker plantings. I always have cuttings growing on, in all seasons, and find that breaking off stems and inserting them straight into the soil is completely successful. My most famous rustic planting of these pelargoniums is in the concrete stock water trough by the Hen House. This is one of the few pelargoniums I grow. 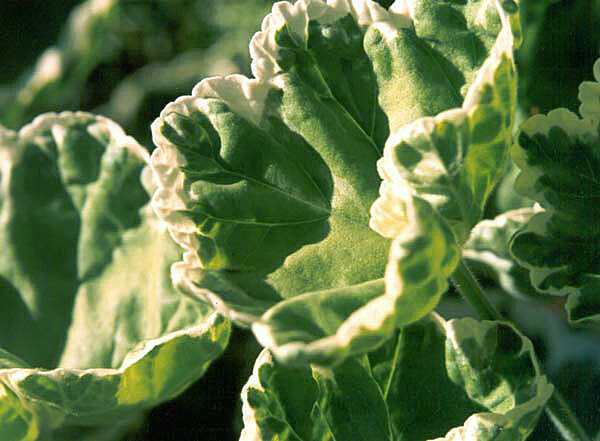 It's a plant with beautiful foliage and great flower colour - perfect credentials! Unfortunately as all pelargoniums it is half hardy, and pots have to winter over in the glass house.